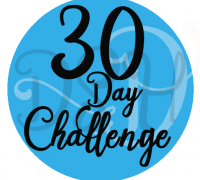 This year, I’ve decided to try a new 30-day challenge each month. Last month, I wrote in a gratitude journal each night. This month, I’m going to try mindful meditation each night for 20 minutes.